Many potential gains in bread packaging productivity have been overlooked for some 30 years. Today, with NEWPAC R80, bakeries can greatly improve their production capabilities by the use of this new, two tier system. 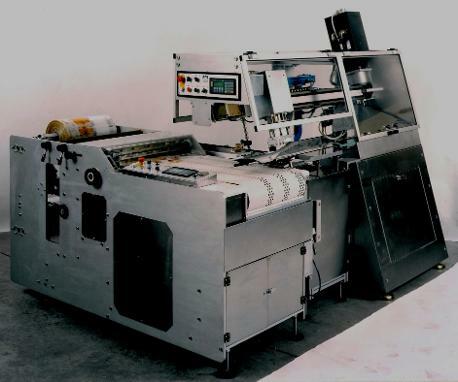 The NEWPAC R80 System combines a roll-stock based bag making unit, with a highly efficient filling unit. Together, they can contribute direct improvements related to packaging costs, productivity, space utilization, solid-waste management and more. Approximately 20% or more direct savings on packaging cost Up to 60% greater productivity in packaging speed, based on current industry average of 50 loaves per minute. A reliable, versatile filling system, utilizing state of the art electronics and mechanisms. Hands-on quality control in the bag-making process. Elimination of (pre-made) bag failure caused by poor seals and improper wicketing. Significant reduction in solid-waste (124,000 lbs. saved on 100 million pre-made bags). Elimination of costs associated with sorting and baling cartons from recycling. Approximately 30% greater utilization of inventory space. Flexibility in the ability to use wicketed bags when required.